BBC NEWS | UK | When should a secret not be a secret? When should a secret not be a secret? Two men have been jailed for breaking the Official Secrets Act by leaking a confidential memo between President Bush and Tony Blair. The content of the memo has never officially been made public. The memo at the heart of the trial in Court Five of the Old Bailey will remain secret for many years to come. One day, perhaps 30, 50 or 100 years in the future, the contents will be revealed and British and American historians and journalists will pore over it at the Public Records Office. By the time it is released its contents will no longer be embarrassing or damaging for those involved. 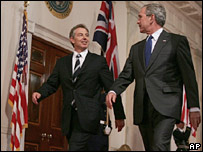 The memo was a note of a meeting between US President George Bush and the British Prime Minister Tony Blair at the White House on 16 April 2004. The pair had discussed the situation in Iraq - among other things - and an official minute of the meeting was sent by a secure fax to Whitehall from the British Embassy in Washington DC. It was written by Tony Blair's then secretary for foreign affairs, Matthew Rycroft, who marked it as "secret". 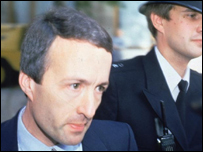 David Keogh was a civil servant working in the secret Pindar complex underneath the Ministry of Defence. He was asked to photocopy and distribute the memo to a select group of mandarins but when he read it he felt morally obliged to get it into the public domain. Keogh said he ultimately wanted the memo to be able to be used by Senator John Kerry, who was running against George Bush in the US presidential elections at the time. So he handed it to his friend Leo O'Connor, who was a researcher working for the Labour MP for Northampton South, Tony Clarke. Mr Clarke had voted against the war in Iraq but when he became aware of the memo he immediately notified the police who later charged Keogh and O'Connor for breaking the Official Secrets Act. 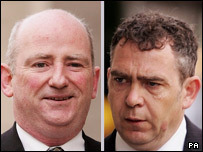 Keogh, 50, and O'Connor, 44, both from Northampton, have been on trial for the past few weeks. On Thursday Keogh was sentenced to six months in jail and O'Connor was jailed for three months after they were convicted of breaking the Official Secrets Act. The judge, Mr Justice Aikens, said Keogh's actions had been "reckless and irresponsible" and he had committed a "gross breach of trust". What was in the memo? But the contents of the memo remained the "elephant in the room". The judge, the jury, the defendants and the lawyers knew what it contained but journalists and members of the public were forbidden from knowing and were excluded from court at various stages. 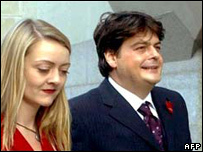 In November 2005, five days after Keogh and O'Connor had been charged by police, the Daily Mirror newspaper published a story about what it said were the contents of the memo. It said its article was based on a transcript of the document which had been disclosed to Mr Clarke. Peter Kilfoyle, another Labour MP who opposed the Iraq war, has been pressing for months for the memo to be published. The MP for Liverpool Walton reiterated that demand and told the BBC: "I don't think this is anything to do with national security. 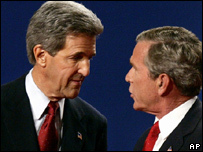 It's all to do with protecting the name of President Bush and possibly Prime Minister Blair." Campaigners believe the Keogh case proves the need for a public interest defence to be enshrined in the Official Secrets Act. In 2002, in the wake of the David Shayler case, the House of Lords appeared to accept that there could be a "defence of necessity by duress of circumstances" available to those who had a valid public interest in disclosing secret material. But the defence has never been used and Keogh's solicitor, Stuart Jeffrey, told the BBC News Website: "We were advised that a public interest defence was not available which is why our defence was based on the question of damage. "We have argued there was no damage to Britain's interests. The memo was embarrassing, rather than damaging." Julie-Ann Davies, of the Campaign for Reform of the Official Secrets Act, said a public interest defence needed to be strengthened and written into the act. She said: "There is a line in the sitcom Yes, Minister when someone says: 'The Official Secrets Act is there to protect officials, not secrets' and that is the danger. Who is watching the watchmen? "If the state says it's not in the public interest to know then there is always a window for corruption and abuse of the system." She said: "It should be up to an independent third party, like a panel of judges, to decide if the public interest outweighs the state's interest." Keogh's barrister, Rex Tedd, QC, asked the jury if they would have done the "courageous thing" if they had been in his position. But prosecutor David Perry, QC, argued in his closing speech that the Official Secrets Act was vital to prevent "anarchy". He told the jury: "Mr Keogh's position is that regardless of the protective marking system each civil servant can arrogate the decision to disclose depending on his conscience - and Mr Keogh said he was the sole and final judge on that matter." Mr Perry said Keogh was simply not in a position to judge whether leaking the memo would be damaging to British interests. Asked about the possibility of reforming the act, a Home Office spokeswoman said: "We keep all legislation under review and we have accepted that it would be desirable to review parts of the Official Secrets Act 1989 but any amendment will depend on priority and the availability of legislative time." Trial highlighted mysterious rules surrounding the Official Secrets Act.